Freeborn, Jeremy. "Benoît Huot". The Canadian Encyclopedia, 21 January 2017, Historica Canada. https://www.thecanadianencyclopedia.ca/en/article/benoit-huot. Accessed 24 April 2019. ​Benoît Huot, swimmer (born 24 January 1984 in Longueuil, QC). One of Canada’s most successful swimmers, Huot has won 20 medals at the Paralympic Games, 12 medals at the Parapan American Games and over 30 medals at the International Paralympic Committee (IPC) World Swimming Championships. Benoît Huot, swimmer (born 24 January 1984 in Longueuil, QC). One of Canada’s most successful swimmers, Huot has won 20 medals at the Paralympic Games, 12 medals at the Parapan American Games and over 30 medals at the International Paralympic Committee (IPC) World Swimming Championships. Benoît Huot was born with a club foot and at only seven days old, had corrective surgery. He spent the next year in casts to help realign his foot. He was three years old by the time he was able to walk, and wore a special orthopaedic shoe and prosthetics until he was six years old. Despite surgery, Huot’s right foot remained smaller than his left, his ankle lacked flexibility and his right calf was underdeveloped. Due to his physical limitations, Huot had a difficult time skating and running, although he tried to play both hockey and baseball. His inability to play hockey was particularly devastating; growing up in Québec, he idolized the Montréal Canadiens and their star goaltender, Patrick Roy. When Huot was eight years old, his best friend, Stephane Deslauriers (then 11 years old), won a silver medal in swimming at the Québec Games. Huot was impressed that his friend was on the front page of the local newspaper. Deslauriers, knowing that Huot was passionate about sports, encouraged him to give swimming a try. In the pool I felt free, like a fish. I just felt better in the water. After a couple of months swimming I really started to get better and I realized I had found my passion. At age 10, Huot started swimming competitively against athletes without a disability. In his first competitions, every swimmer received a participation medal. Heading into the 1995 Québec Games in Sherbrooke, Québec, Huot had high expectations for himself. However, he was disappointed to finish in seventh place and cried because he did not receive a “special” medal — those awarded to the top three swimmers. Two years later in Montréal, Huot participated in his second Québec Games, and at the age of 13, won a silver medal in the men’s 50m freestyle. In August 1997, Huot was watching the Canada Summer Games on television and saw an interview with Paralympic swimmer Philippe Gagnon, who, like Huot, had a club foot. The profile on Gagnon was a revelation, as he had not realized until then that he qualified for the Paralympic Games (classification S10 — athletes with minimal impairment). 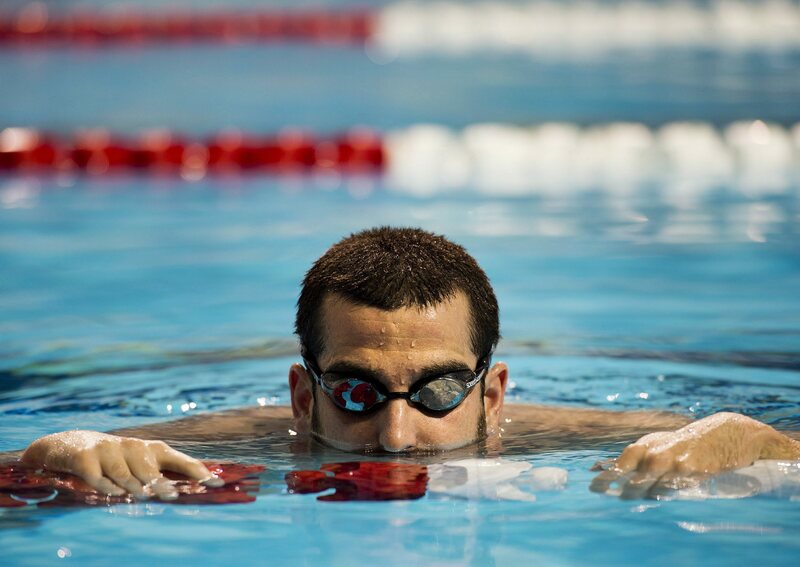 In the spring of 1998, he participated in the Canadian Paralympic Swimming Trials in Sherbrooke, Québec, and won the gold medal in the men’s 50m freestyle. Huot made the Canadian Paralympic team. At only 14 years of age, Huot won six medals (two gold and four silver) at the 1998 International Paralympic Committee (IPC) World Swimming Championships in Christchurch, New Zealand. Huot won an individual gold medal in the men’s 1500m freestyle open and was part of the victorious Canadian team in the men’s 4x100m medley relay. At the age of 16, Huot represented Canada at the 2000 Paralympic Games in Sydney, Australia, where he once again won six medals (three gold and three silver). His gold medals came in the men’s 50m freestyle, 200m medley and 4x100m medley relay. Huot’s time of 25.37 seconds in the men’s 50m freestyle was a world record. Two years later, at the 2002 IPC World Swimming Championship in Mar del Plata, Argentina, Huot won seven medals. At the 2004 Paralympic Games in Athens, Huot won six medals, including five gold. Huot also set three world records in the process — times of 59.54 in the men’s 100m butterfly, 53.73 in the men’s 100m freestyle and 24.71 in the men’s 50m freestyle. His final time in the men’s 50m freestyle was particularly impressive, as it smashed his personal best of 25.32 seconds, which he set in heat two of the Games. One year after his dominance at the 2004 Paralympic Games in Athens, Huot went to England, where he enjoyed even more success. He won six gold medals at the Disability Sport England Swimming Championships and then two more medals (one gold and one silver) within 15 minutes of each other at the Paralympic World Cup in Manchester. 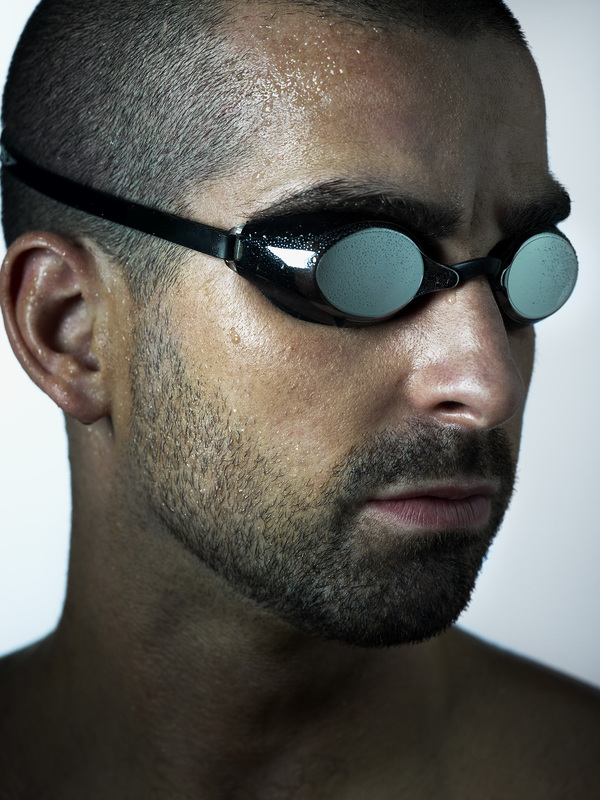 At the end of 2005, Huot was named World Disabled Swimmer of the Year by Swimming World Magazine. Since 2006, Huot has won another eight medals at the Paralympic Games — in Beijing (2008), London (2012) and Rio (2016) — bringing his total to 20. Huot’s most successful event throughout his career has been the men’s 200m individual medley. He won this event at the 2006 IPC World Championships in Durban, South Africa; the 2007 Parapan American Games in Rio de Janeiro, Brazil; the 2010 IPC World Championships in Eindhoven, Netherlands; the 2012 Paralympic Games in London, England; and the 2013 IPC World Championships in Montréal, Québec. At the 2012 Paralympic Games in London, Huot’s time of 2:10.01 set a world record in the men’s 200m individual medley (SM10 classification). Another significant moment for Huot came at the 2010 Commonwealth Games in Delhi, India. Huot won the 100m para sport freestyle swimming competition, becoming one of three Canadian para-athletes to win a gold medal at the Games (shot putter Kyle Pettey of Brampton, Ontario, and wheelchair racer Diane Roy of Lac-des-Aigles, Québec, also won gold). Their gold medals were included among the 26 gold medals won by Canada in the official Commonwealth Games medal standings (since 2002, para-athletes have been considered full members of the national team at the Commonwealth Games). In 2011, Huot was inducted into the Canadian Disability Hall of Fame, even though he remained an active swimmer. Huot was one of two Paralympians to be inducted in 2011, joining Brian McKeever of Calgary, a cross-country skier who has won 13 medals for Canada in his career at the Paralympic Winter Games. 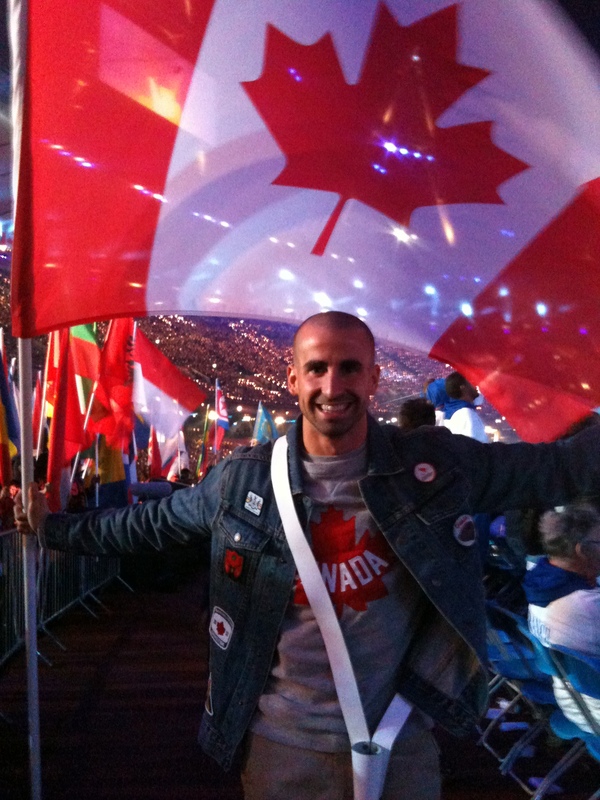 In addition to his continued career as a high performance swimmer, Benoît Huot has served on the athletes’ council of Swimming Canada, the Canadian Paralympic Committee and Commonwealth Games Canada. Huot has also created the Benoît Huot Foundation, which provides financial support for student athletes with disabilities, and is an ambassador for Right to Play. Para-SwimmingInformation on the sport from the Canadian Paralympic Committee. Right to PlayThe charitable organization’s official website. Profile of Benoît HuotFrom the Canadian Paralympic Committee.